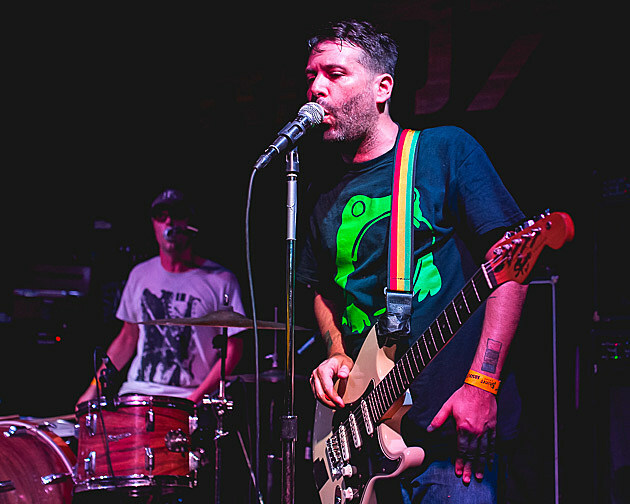 Austin’s annual Free Week will actually be 10 days this year, with free shows happening every night at Mohawk, The Sidewinder, and The New Movement from January 1 – 10. 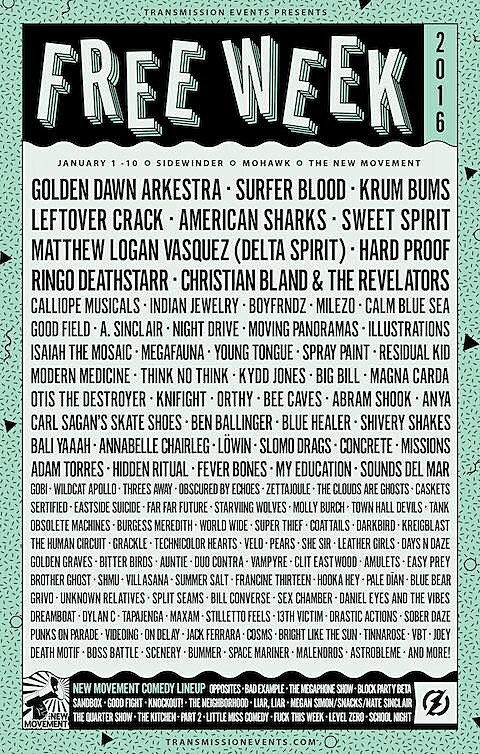 This year’s lineup, featuring mostly Austin bands, has been announced and includes Ringo Deathstarr, Sweet Spirit, Matthew Logan Vasquez (Delta Spirit), Surfer Blood, Spray Paint, Residual Kid, Indian Jewelry, Leftover Crack, American Sharks, Golden Dawn Arkestra, and lots lots more. There will also be comedy events this year.